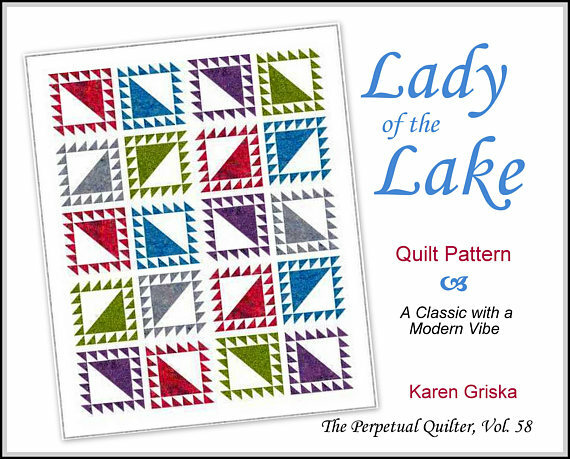 Did you know that the classic Lady of the Lake quilt block originated in Vermont in 1810 and is one of the few blocks that hasn't been known by any other names? This according to "The Romance of the Patchwork Quilt in America" by Rose and Kretsinger (1935). 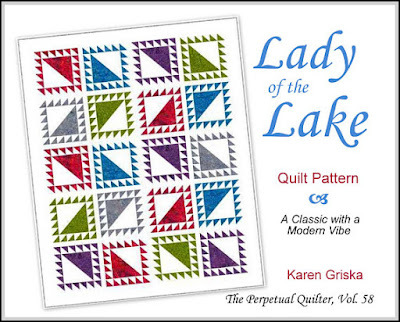 This pattern shows how to make fast half-square-triangles, 8 at a time. I'm sure my readers know how to do that, but it's a real eye-opener for new quilters! These two throw size quilts are made with RJR's gorgeous batiks: Jinny Beyer Best of Malam. Thanks to my new EQ8 software, I can show you this quilt in two colorways. Or as many colorways as you want! Haha. Don't get me started.